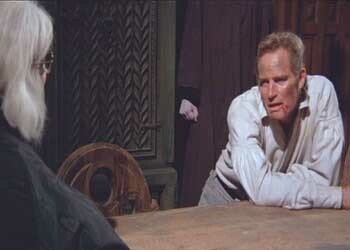 I can’t prove it, but I think that the NRA uses The Omega Man as a recruiting film. “This is what the future has in stake for you!” I can imagine them proclaiming. Never mind that this “future” takes place in 1976. 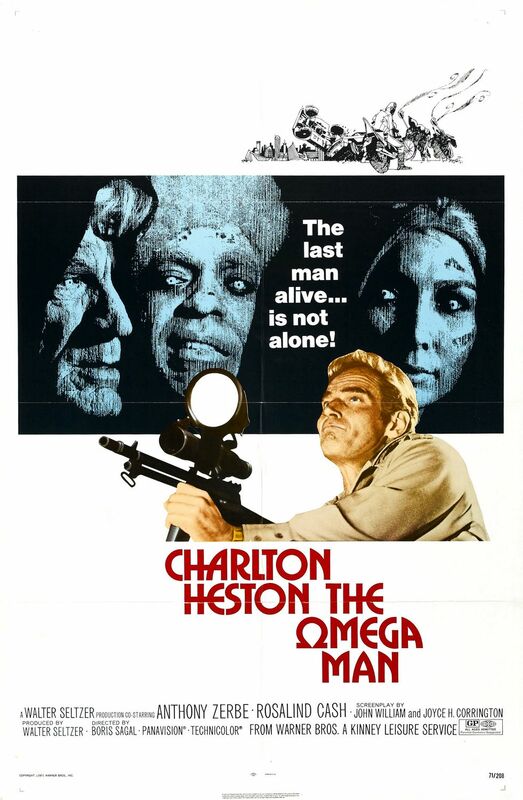 NRA poster child Charlton Heston stars as Robert Neville, the survivor of a worldwide, man-made plague who managed to inoculate himself with a vaccine he developed before all Hell broke loose. Those who didn’t die are being turned into mutant neo-Luddites who seek to destroy all technology (including guns that don’t kill people) and those who use it (the people that kill people) — namely, Neville. Calling themselves “The Family,” the mutants promote race-less, class-less (i.e. Commie) unity and are pretty much a sad bunch of freaks who can only come out at night and can only fight using, like, twigs and stuff. Lincoln Kilpatrick is “black power” Family member Zachary, who want to get Neville out of his “honky paradise” by any means necessary — even using modern mechanisms like guns. 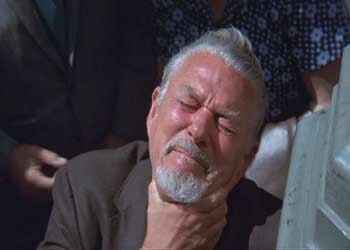 He’s rebuffed, though, by the head of the Family, Matthias (Anthony Zerbe). Neville discovers a group of rebels who haven’t yet turned and decides to use his own blood as an antidote to the disease. Thus we get Charlton Heston, Christ figure. Jesus Christ! 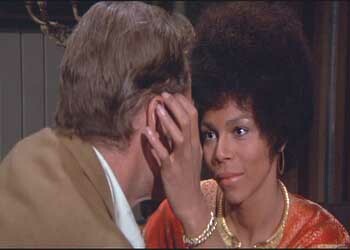 He isn’t too Christlike, though, as he finds time to bed some sweet, sweet chocolate in the form of Rosalind Cash. 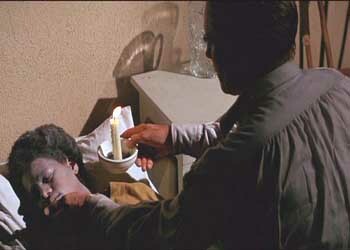 That said, The Omega Man is fairly entertaining, if only in a kitschy ’70s sort of way. 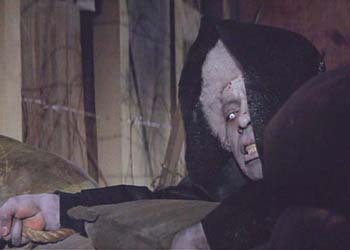 It’s not nearly as horrific as it should be, considering the book (I Am Legend) had the hero fending off vampires. 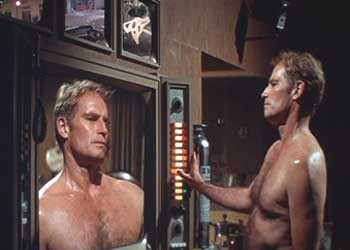 Although granted, seeing a 50-ish Charlton Heston shirtless could give anyone nightmares.